Register now for the Global Media and Information Literacy (MIL) Week 2018 Feature Events. 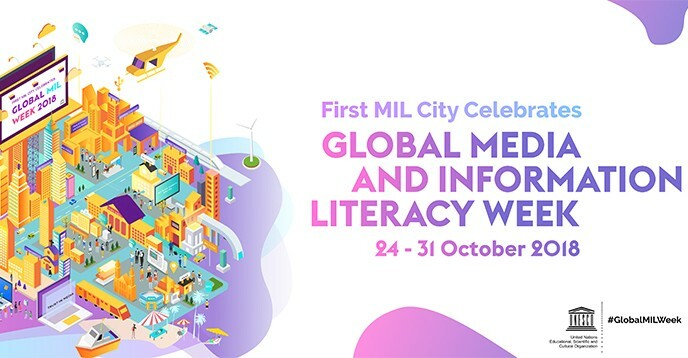 The annual celebration of Global MIL Week will take place from 24 to 31 October this year, under the theme “Media and Information Literate Cities: Voices, Powers, and Change Makers”. Its Feature Conference, the Eighth MIL and Intercultural Dialogue (MILID) Conference, will be held from 24 to 25 October 2018 in Kaunas, Lithuania, under the same theme as Global MIL Week 2018. The Feature Conference will be followed by the Global MIL Week 2018 Youth Agenda Forum, an event designed by and for youth. It will be held on 26 October 2018 in Riga, Latvia, under the theme “Media and Information Literate Cities in the Era of Algorithms: Youth Voices”. These two Feature Events are respectively hosted by the Vytautas Magnus University and the University of Latvia. Global MIL Week is a major occasion for stakeholders around the world to review and celebrate the progress achieved towards “MIL for all”. It is a cap and aggregator for MIL-related events and actions across the world leading up to this Week. Together with its Feature Events, Global MIL Week promotes MIL connections and policies across countries, stakeholders, development issues, disciplines and professions. Global MIL Week and its Feature Events are for everyone – civil society, local government officials, policy makers, academics, and other city actors alike. Join us at the Feature Events as speakers or participants, come and set up an exhibition of your work, and celebrate with us through organizing local events online or offline. You are also invited to register your local events here. Let us stand together for MIL for all. See more information about Global MIL Week 2018 on its official website. For more information, please contact Alton Grizzle, a.grizzle@unesco.org(link sends e-mail), Xu Jing, ji.xu@unesco.org(link sends e-mail), or Wang Xiaotong, x.wang2@unesco.org(link sends e-mail). With summer holidays on the horizon, here’s our roundup of recent posts from the Parenting for a Digital Future blog. With the General Data Protection Regulation (GDPR) coming into force at the end of May, we asked how this will impact on children’s privacy and right to participate online, particularly given the fraught debates over the child’s age of consent. We also reflected on whether it will actually result in safer internet use for children across Europe’s multiple jurisdictions. Watch out for more on children’s privacy online and the GDPR in coming months. 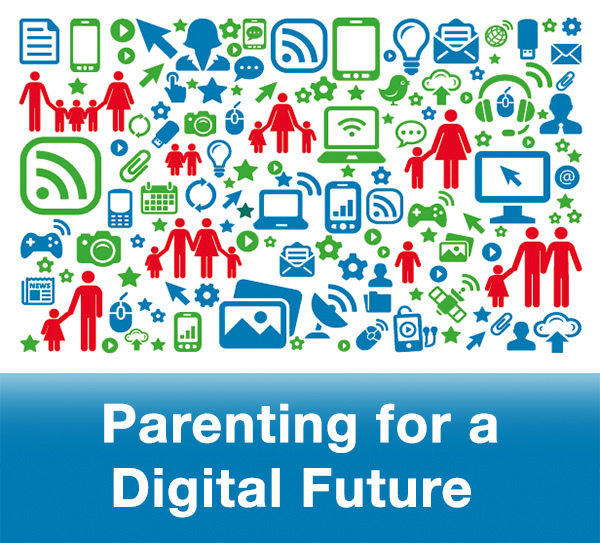 Parenting for a Digital Future’s new national survey of UK parents also addressed child privacy and safety online issues, with a special focus in our third Parenting for a Digital Future Survey report, What do parents think and do about their children’s privacy online? We found that privacy is a top concern for parents, even though many report low privacy-supporting digital skills. On the blog, privacy was also discussed in relation to the Cambridge Analyticascandal. We presented practical solutions for parents to develop their ‘digital parenting’ skills and Brian O’Neill reported on prospects for a unified policy strategy for enhancing children’s internet use across Europe. If you don’t already subscribe to the blog, please do so here. Screen time is becoming an ever more significant issue, it seems. Our survey revealed that parents worry about the amount of time children spend looking at screens, even though it’s more the content children access that matters, and how they respond to it. Thus we questioned whether new government guidelines in Australia capture this shift in emphasis away from simple measures of screen time, and we reviewed two books which showed how engaging with screens can bring positive opportunities for children. How are families negotiating the digital age? Sonia Livingstone charted how digital media are opening up new opportunities for parents to support their children’s learning. We reviewed the evidence on how parents might help toddlers maximise the learning opportunities of touchscreen technology. Kate Miltner critically investigated the current push for parents and children to learn to code in the US. We examined how social class influences parents’ attitudes to their children’s use of social media in India and at how technology is used in Australian and UK schools, with the latter revealing how teenagers with visual impairments have used digital technology to improve their learning. Comprehensive research in Latin America and Europe questioned whether increased access to online spaces results in more harm. Also researched was how teenage girls are harassed online and how we might empower girls to tackle this. We drew attention to the increased exposure of children to gamblingvia online advertising. Finally we contrasted two views on the media portrayal of suicide and the high-profile show, Netflix’s 13 Reasons Why. Looking ahead we have plenty of posts lined up, but we are always keen to receive new contributions. Please take a look at our guidelines for guest contributors here and get in touch if you have an idea or some new research. We want to remind you that you can unsubscribe from this newsletter at any time if you feel it is no longer of interest, or no longer relevant to you. There is an unsubscribe button at the bottom of each newsletter. You can also re-subscribe to the newsletter and blog at any time via our website. Your personal data (the name you provide and the email address) will be stored safely on an LSE server and will not be shared with third parties. We will only use these details to provide you with research updates and related information. When you unsubscribe, your data will be removed from the mailing lists.